Located at a confidential site in Naples, our state-of-the-art Beau Venturi Home is a 60-bed emergency shelter, complete with Protect Your Pet Program featuring an on-site kennel. The emergency shelter opened in 2002 and serves all of Collier County. The Shelter is the only domestic violence center in Naples and we are the only state certified center serving all of Collier County, FL – from Bonita Springs and Immokalee, to Marco Island, Everglades City, Naples and all points in between. The average length of stay in the emergency shelter this past year was 29 days – although some individuals may stay one night while others may stay closer to 50 days. Individuals who qualify for our Transitional Living Program can reside in the cottages for up to two years. Be a volunteer. 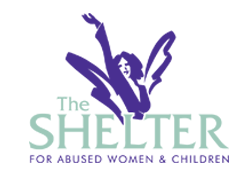 Call The Shelter for Abused Women & Children Naples at (239) 775-3862 for current volunteer work opportunities. Posting Comments below is for viewers on this website only. If you have information that can help users regarding The Shelter for Abused Women & Children Naples, please provide it below.